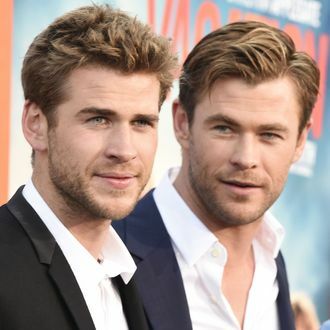 Brothers Liam and Chris Hemsworth apparently don’t think they’re likable enough, because they just made themselves way more likable. The two engaged in an Instagram war, defacing each other’s magazine covers, you know, as famous brothers are wont to do. But those guys are going to have to step up their games because Big-Eared Liam and Long-Haired Chris don’t even look that bad. Maybe horns?